1. Will the real Lewis Hamilton please stand up? Hamilton proved again last year that when in the mood he is simply too quick to catch, his total dominance at times driving Mercedes team-mate Nico Rosberg to despair. But since clinching his third world title in Texas last October, the Briton has gone completely off the boil, allowing Rosberg to rack up five successive wins since the back end of last season. He needs a win in Shanghai this weekend to stop the German’s surge. Also in focus will be Hamilton’s attire, after he caused a stir at the Bahrain Grand Prix by turning up in traditional Middle Eastern clothing — topped off with designer sunglasses and a thick gold chain. Fans and teams alike will be relieved that F1 is returning to last year’s qualifying format in Shanghai after the failed experiment with ‘progressive elimination’ caused red faces in Australia and Bahrain. The new, one-by-one knock-out system left tracks embarrassingly empty at times and was much maligned by spectators and drivers alike. Teams pushed hard for a return to the old format immediately after the first season’s race in Melbourne — and now it’s a case of better late than never after governing body the FIA relented. Growling menacingly during pre-season testing, Ferrari’s engines suddenly resemble a second-hand Skoda’s — and for no apparent reason. Sebastian Vettel’s Bahrain hopes went up in smoke when the engine of his Ferrari blew on the warm-up lap, after Kimi Raikkonen’s engine caught fire in the season opener in Australia. Ferrari mechanics will be working overtime to solve the mystery as they look to mount a challenge to the dominant Mercedes. Frenchman Romain Grosjean turned heads when he snatched a creditable sixth place for American team Haas on their Formula One debut in Australia. But he went one better in Bahrain, steering the newcomers to fifth to fire a warning at the likes of Williams and Force India that their early results were no fluke. 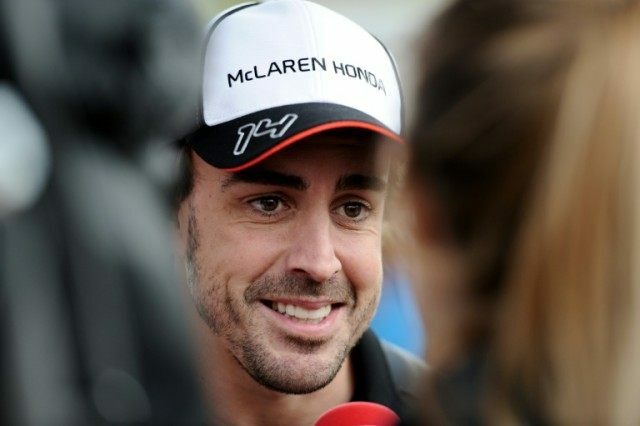 Former world champion Fernando Alonso will be hoping to be passed fit to make his return for McLaren after being sidelined since his horror crash in the season-opener in Australia. Ruled out of the last race in Bahrain two weeks ago, the Spaniard will undergo further tests before being given the all-clear by Formula One’s ruling FIA.